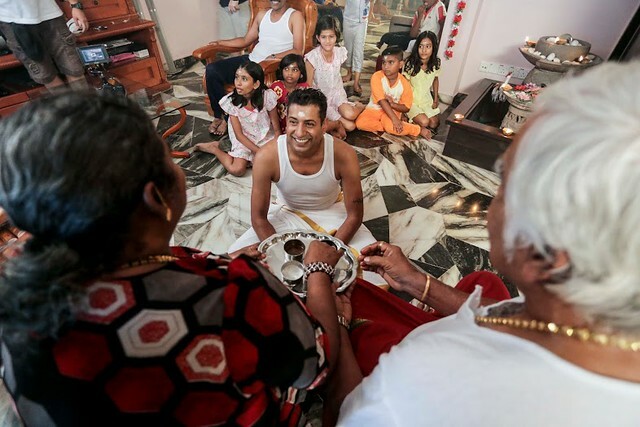 On the morning of Deepavali, Hindus will have a traditional oil bath. For most Hindu’s the significance of an oil bath on Deepavali day is sacred, and it represents the cleansing of one’s body and soul. Gingelly oil, is placed on top of the head, then slowly rubbed on the face, the body and limbs. 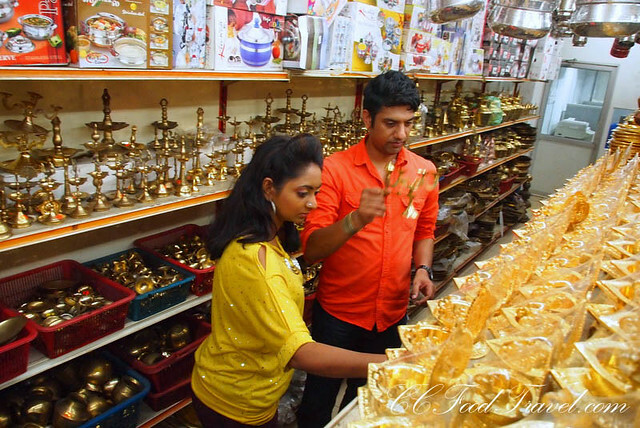 From father to son or mother to daughter, the tradition has been passed down over the last 3,500 years at least and remains a must do for many before they go to temple on Deepavali morning. It is the perfect time for bonding with their children, as parents will have to pause and have physical contact with their kids. How many of us even have time for that, in this modern day and age? Following this, new clothes will be donned before the family say special prayers at the family altar. 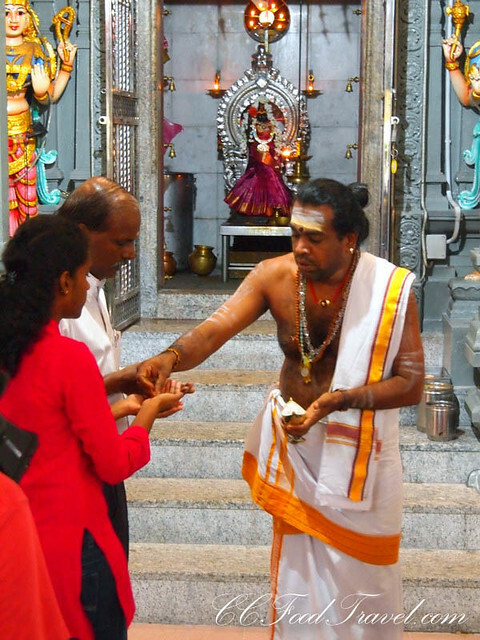 Visits to the temple will follow, where devotees will ask for blessing from the Priest. This leg of the Pertonas Deepavali webisode brings us to Nagarathar Sivan temple, located on Jalan Dato Keramat, Penang. 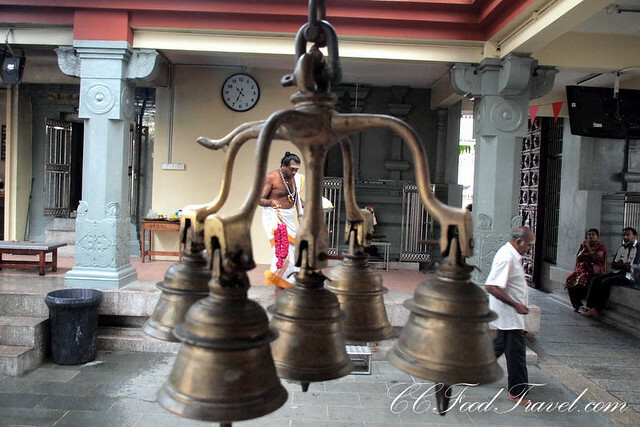 This Shivan Temple is more than 100 years old, and famous for its lotus pond, in Penang. We spoke to Mr DS V Nandakumar, Deputy President of the Malaysian Hindhudharma Mamandram Association and he told us that though Deepavali is about the family and about humans throwing away their bad habits and being made new, it was not enough to just take, and not give. Deepavali is about sharing with and involving the poor, the old, the homeless, the orphans, the folks in prison, and bringing light to those who are less fortunate in our society. Shouldn’t that be what the spirit of Deepavali is all about? Caring for the uncared for? At the temple, we managed to speak with Astro Vaananil superstar champion Alinda (co-host of Aaanatha) and she told us that Deepavali for her is mainly about Togetherness, Family time, Food and Prayers, and Reunion. 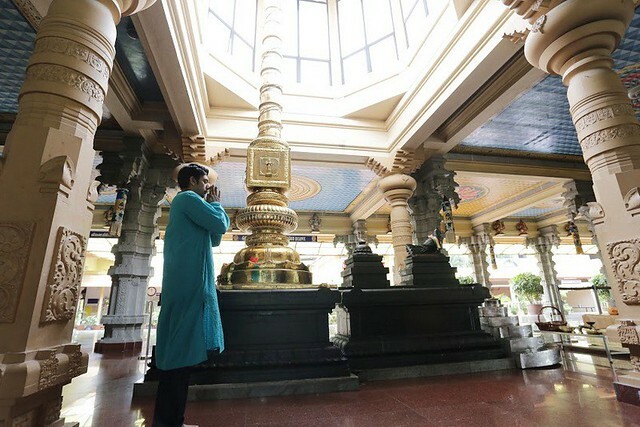 She says that for the young, they need to strike a balance on what Deepavali means – not just a day for partying or an excuse to holiday, rather to stop and contemplate about God and purification as well. 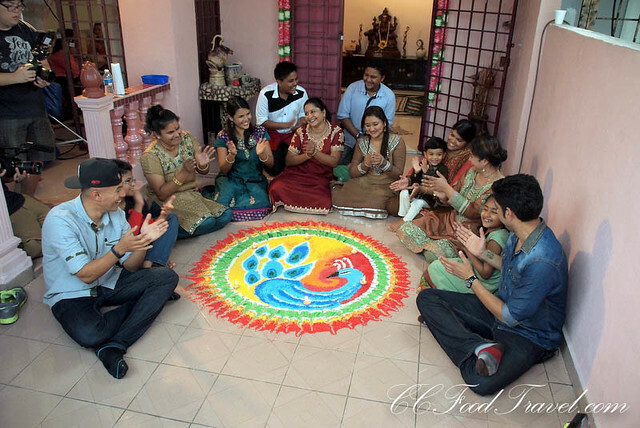 Speaking to host Aanantha, he agreed that even for him, this was a refresher course and what it means to celebrate Deepavali. A lot of the time, folks just go through the motions without realising what light over darkness truly means. We also spoke to the Priest at the temple, Kalidas Gurukak. He told us that on Deepavali Day, Sivan Temple is busy from 7am onwards where families bring Kalanchi for prayers, to be blessed by priest. 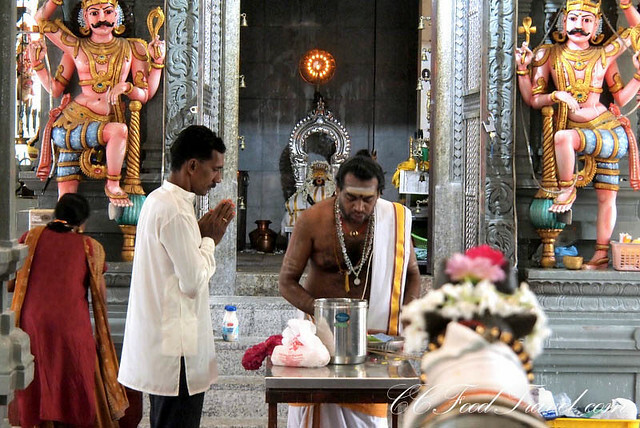 Families will enter the temple bearing coconut, fruits, flowers as offerings for gods. They will then mention their names and their Zodiac to the priest. The Priest will chant mantras, for the family and this usually takes half an hour. The Priest will then break the coconut for the family as an offering to the deity. The coconut symbolizes the fact that each person comes as a whole. The white flesh inside represent the hope and earnest desire for god to bless them with purity – passing of the old, and a rebirth of the new man. 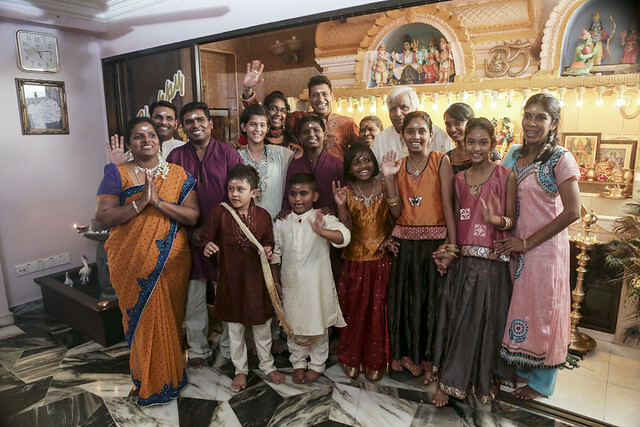 After prayers at the temple, the family returns home, and has breakfast together. After breakfast, the celebration starts. 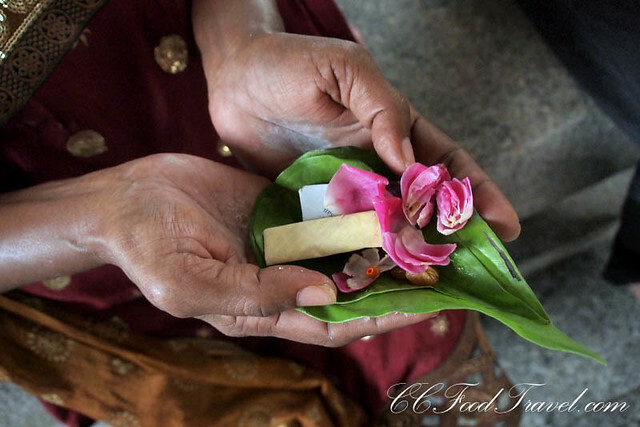 Visits to the homes of family members and friends will follow after the temple rituals. As with other festivals, Deepavali is celebrated with these family get-togethers, made all the more merrier with special festival dishes like the sweet ladoos and the spicy muruku. the oh so delicious ladoo! 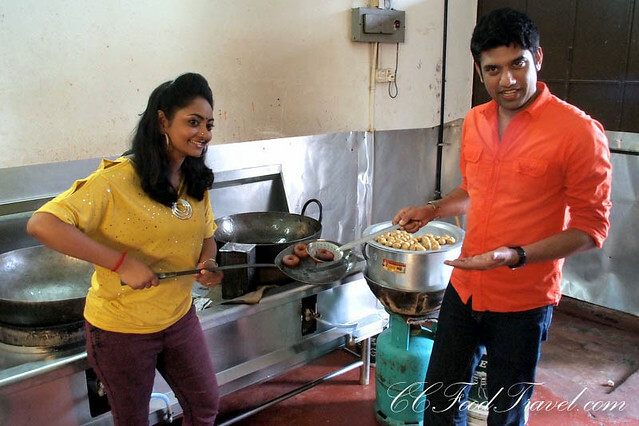 In Penang, the shoot took us next to a sweet factory, called NR Sweets. Speaking to the owner, Mr P Narendren he told us a bit about the significance of Ladoo and Adhirasam for Deepavali. While ladoo are the popular and basic Indian sweets made from Ghee, Flour, Oil and sugar, Adhirasam is the important sweet for Deepavali. Adhirasam is a traditional south Indian sweet which is made in almost every house in Tamilnadu during Deepavali. 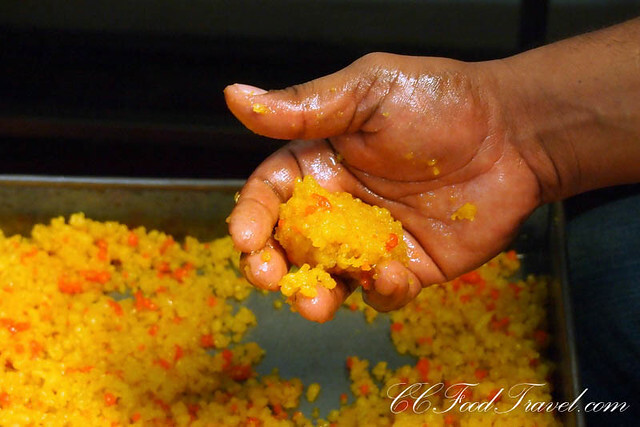 A sweet snack made with rice flour and jaggery. 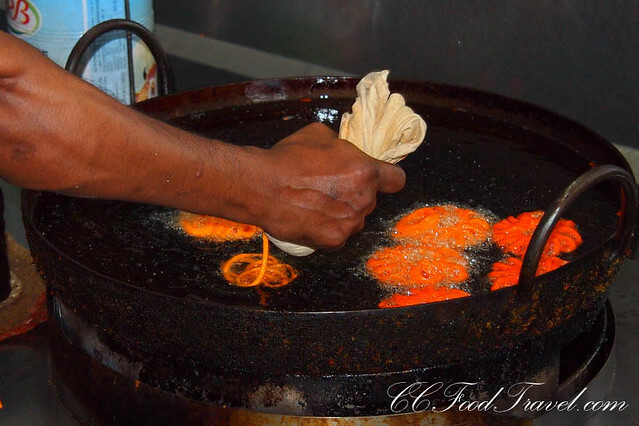 It is prepared during religious functions and for festivals. Adhirasam is a type of South Indian sweet from Tamil cuisine. 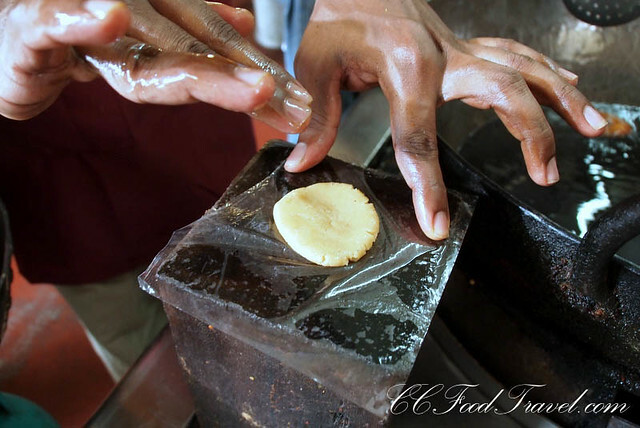 The doughnut like pastry has a long history of popularity in Tamil civilization. 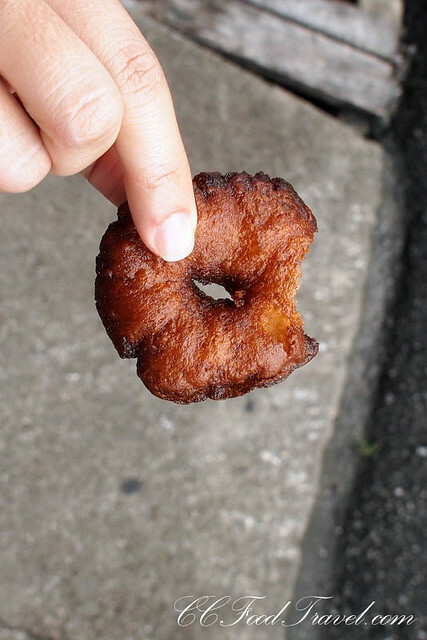 They are similar in shape to vadai, but instead of being savoury, they are sweet. Adhirasam is a popular as an offering to the gods during festivals such as puja prayers, and Deepavali both at home and in temples. 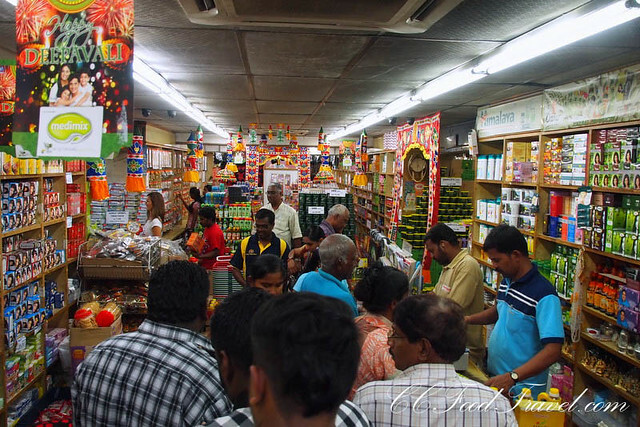 During the days leading up to Deepavali, the factory churns out a huge amount of Adhirasam. Finally, our last stop brought us to a Saree shop called Anita Sarees, on little India, Penang Street. 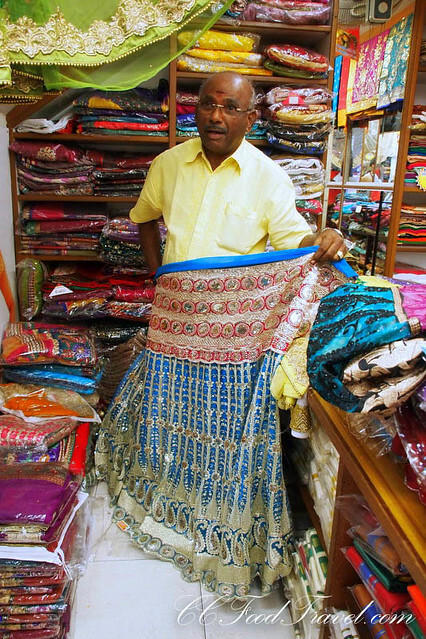 Speaking with the owner, Mr MP Alagarsamy, he says that every year, he flies out personally to handpick and buy the Sarees from Bombay. The reason why you cannot do the transaction via the phone is that you might end up with the wrong color or different merchandise from what you ordered. It is still best to go and pick it by hand. Chiffon with modern design are now all the rage, he tells us. Not so much the traditional looking sarees. This year, he says that business is slow, compared to the past year, and perhaps competition from retail chains have dampened his business somewhat. Whatever it is, Mr Alagrasamy’s shop still seemed to be thriving and he was generous enough to give us all a little present each, from his shop. What a nice man and a generous offer –all in the spirit of Deepavali. The Festival of Lights is often a raucous affair, marked by a cacophony of merrymaking and a flourish of ceremonial activities in the home and in the temples. The wealthier urban dwellers splurge on gold, jewelry, clothes and expensive gifts which they buy for themselves and their loved ones. For some it might be a much more simple affair, defined by humble offerings and wholesome meals with the family. Whatever it is, the key essence and message behind Deepavali i.e. thanksgiving, reunion, purification and rebirth, should still be preserved, so that it can be passed on to the new generation. Deepavali cannot be celebrated without a union, for festivals belong to everyone, not just one person, including the poor and the outcasts. Previous articleFour Points by Sheraton Penang.. a lovely place to stay! wow indian sweets are the best! well… indian food in general!